Beyond the actual plot of the individual films in the How to Train Your Dragon (HTTYD) franchise, macroscopically, is the coming-of-age story of Hiccup (Jay Baruchel) and his trusty Night Fury dragon, Toothless, who incidentally looks like a colour edited version of the grass type pokemon Bulbasaur. The idea of 'growing up together' and learning new skills as time goes makes the Viking chief of Berk and his companion too is similar to the journey of Ash Ketchum and his Pikachu. However, the makers of the HTTYD franchise show this in much greater detail. In the first HTTYD, Toothless loses his left tail fin and Hiccup loses his left leg. In the sequel, Hiccup becomes the chief while Toothless becomes the alpha dragon to whom the entire race bows down. To cite an even darker example, Hiccup's father, Stoick the Vast (Gerald Butler, who only appears in flashbacks and is dearly missed in the latest film), is a dragon slayer in the first film and he's killed by a dragon in the second film. 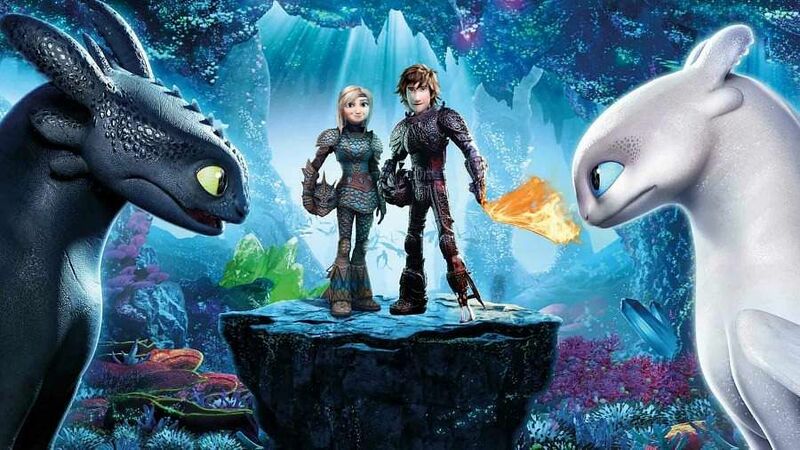 This duality continues in the third and final instalment of the franchise -- How to Train Your Dragon: The Hidden World -- in which Hiccup and Toothless have entered their prime age, are ready to face the real world (a new one), set to fall in love and settle down. Six years after the people and the dragons made peace, their island of Berk has become overpopulated and moving to greener pastures seems like a good plan for the Vikings. In line with the franchise's mythological roots, Hiccup gets reminded of a 'hidden world' myth that his late father had told him many years ago as a children's tale. Meanwhile, Toothless, who was believed to be the last Night Fury, spots a White Fury -- who gets christened as Light Fury by Astrid (America Ferrera). While Toothless gets on with his antics to woo the new dragon, Hiccup also faces a dilemma on whether it's the right time to marry his pillar of support -- Astrid. If this wasn't enough, trouble brews in the form of Grimmel the Grisly (F Murray Abraham) to make matters more worrisome. While it's obvious how the film and the franchise will end, director Dean DeBlois relies on simple comical one-liners and strong emotions to make this film work. He also makes points on co-existence and how letting go is the ultimate way of loving someone unconditionally. With the first HTTYD hitting screens almost a decade ago, DreamWorks has taken its own sweet time to create this franchise, making it one of the most well-known and beloved 3D animation films in recent times. Keeping that in mind, and realising how making the second film a tad darker worked in his favour, DeBlois has deliberately made HTTYD:THW's storyline grittier. Though the film's antagonist, Grimmel the Grisly, is similar in character to the second film's Drago Bludvist, who wants to take over the world with a dragon army, Grimmel wants to make the dragons extinct. The difference in agenda and the gameplay he employs though, doesn't make Grimmel quite the dreaded villain he ought to be. 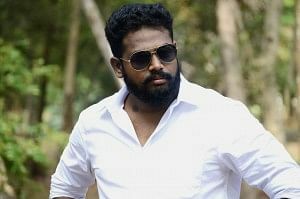 The third film in a trilogy historically has more chances of failing as has been proved by franchises such as Matrix and Terminator. But HTTYD:THW takes the Lord of the Rings and Toy Story route and delivers a punchier film by upping the humour and sentiment factor. The franchise also continues with its Game of Thrones references. For starters, Kit Harrington, who plays Jon Snow in the fantasy series, is back as Eret in HTTYD:THW. Similar to the flaming sword from GoT, Hiccup too uses a sword that can light up. And of course, there are the dragons. Despite a villain who doesn't pose much of a threat and a rushed plot, HTTYD:THW works thanks to the brilliant visuals and an emotional story, making it a fitting finale to one of the best trilogies in recent times.